A better organised run today. My Garmin was fully charged and I managed to add a 5 mile run to a family walk along the seafront by getting dropped off a few miles away and running to meet them. Not total perfect planning because whilst it was a crisp dry day and cooler than yesterday, I was still too hot and spent the run carrying my gloves then hat and finally gilet. Not yet fully up to my sprightly best but definitely a better run. 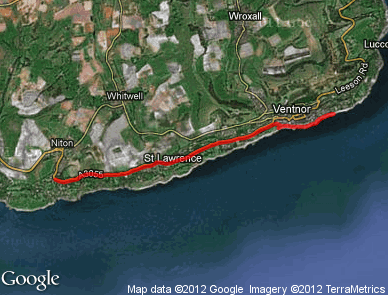 Categories: running | Tags: Isle of Wight, Janathon, lego, Running | Permalink. A seafront walk/run sounds lovely. Inspired way to sneak in a Janathon run, and a nice distance too. Sounds like a lovely run. I got hot out there too, today. I wish I didn’t overheat! Can’t believe they sent that email! Are they working for the cake police!!! Nice run though, you’ll soon be back on track. I signed up for that newsletter. Guess I’d better get round to reading it! I get round the mirror issue by not having a full length one in the house. I am only aware of my head. Having said that, I was disturbed by the hips and thighs on my shadow this morning! Sounds like a great run, shame about the heat, I could have done with your gloves on my run! I need this newsletter! Am running, then consuming about twice the calories earned. Can’t wait until all Christmas fare has been finally eaten or gone out of date! I have not had the strenth to face my reflection without at leasst 4 layers of clothes so i can blame them for bulges. Am going to bit ethe bullet and measure tomorrow – I may also need that email please! Well done on 5 miles, are you aiming to beat last years total? Great run, sounds like a great location. I too have the same image when I look in the mirror at the moment. I love your Lego pictures!